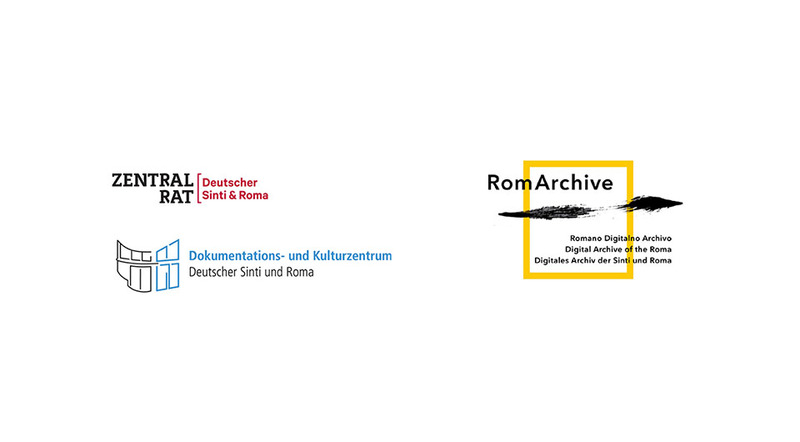 On the occasion of World Roma Day on 8 April, the Documentation and Cultural Centre of German Sinti and Roma and RomArchive, the Digital Archive of the Roma, are pleased to announce that the Documentation Centre has taken over the responsibility of RomArchive. The project initiators Franziska Sauerbrey and Isabel Raabe, the German Federal Cultural Foundation, the Federal Agency for Civic Education and the Documentation and Cultural Centre of German Sinti and Roma have agreed that the Heidelberg Centre will take over RomArchive after the Berlin-based European Roma Institute for Art and Culture (ERIAC) was originally planned as the future host. As an academic institution of the Central Council of German Sinti and Roma, the Documentation Centre, which was founded in the 1990s, has many years of research experience, a European network and the necessary political reputation to successfully manage the extensive RomArchive in the future. Both the Documentation Centre and the ERIAC emphasise their interest in close cooperation in the further development of RomArchive. 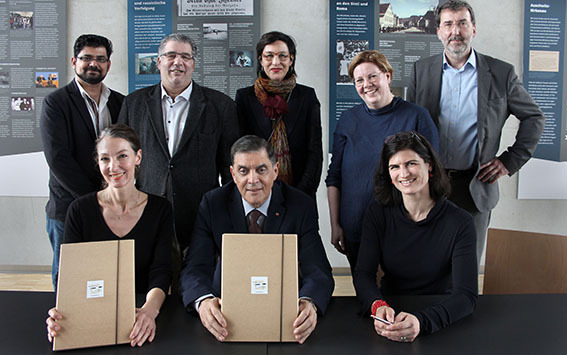 The takeover agreement was signed on 27 March 2019 by Romani Rose for the Documentation and Cultural Centre of German Sinti and Roma. RomArchive, the Digital Archive of the Roma, is accessible online at www.romarchive.eu. In the years from its development until the launch of RomArchive (2015-2019), under the auspices of sauerbrey | raabe gUG (limited liability), RomArchive was supported by the German Federal Cultural Foundation with 3.75 million euros. The Deutsche Kinemathek – Museum für Film und Fernsehen was the cooperation partner for the technical set-up and implementation. The European Roma Cultural Foundation and the Central Council of German Sinti and Roma have acted in an advisory capacity from the initial stages of planning. The Goethe-Institut also supported the work of RomArchive in these early years and accompanied it with its own events. The Federal Agency for Civic Education and the Federal Foreign Office also engaged in supporting RomArchive. The Federal Agency for Civic Education also supports the editorial management of the archive for a further five years from 2019 onwards. RomArchive, the Digital Archive of the Roma, was published on 24 January 2019 and makes the arts and cultures of Roma and their contribution to European cultural history finally visible. Through narratives told by Roma themselves, RomArchive creates a reliable source of knowledge that is internationally accessible on the Internet, counteracting stereotypes and prejudices with facts. In terms of content, 14 curators defined the presentation and selected exemplary artistic contributions for the archive sections on dance, film, literature, music, theatre and drama, visual arts, and the interdisciplinary field of flamenco, as well as material on politics of photography, self-testimonies related to the persecution of Roma in National Socialism and scientific material on the civil rights movement. The participants in the project—within the various working groups there are around 150 actors from 15 countries across Europe and beyond—form a worldwide network of artists, scientists and activists, most of whom come from a Roma community. They make RomArchive currently the largest cultural project of, for and with Roma in which the principle of “Romani Leadership” is consistently implemented: Roma have shaped the archive in all key positions. With the various working groups there are around 150 actors from 15 countries across Europe and beyond involved in the project. They form a worldwide network of artists, scientists and activists, most of whom come from a Roma community. They make RomArchive currently the largest cultural project of, for and with Roma in which the principle of “Romani Leadership” is consistently implemented. From the beginning, the project initiators have planned to hand over the responsibility of RomArchive to a European Roma organisation after a five-year start-up phase. The archive’s ever-expanding collection exemplifies the enormous range and diversity of cultural identities and national idiosyncrasies, rather than conveying an unrealistic image of a homogeneous “Romani culture”. The wealth of an artistic and cultural production—centuries old, lively and varied to this very day—is made visible and publicly accessible for the first time in such a wide scope.